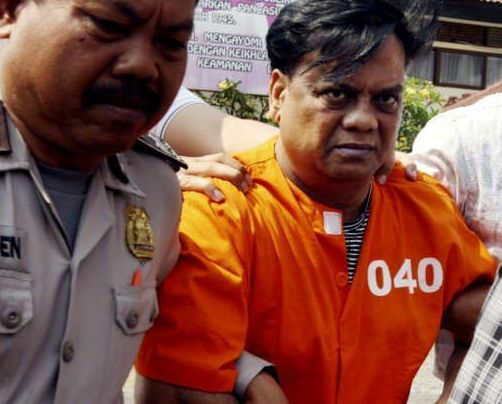 A special Maharashtra Control of Organised Crime Act court on Tuesday granted Central Bureau of Investigation permission to interrogate deported gangster Chhota Rajan in connection with journalist J Dey murder case of 2011. Special Judge A L Pansare allowed CBI’s plea seeking nod to question the 54-year-old crime boss for 10 days starting January 27 before adjourning the case till February 5. Rajan, who was produced via video link from Delhi’s Tihar Jail told the court that he has received the charge sheet and needs time to go through it. “I am kept in a high security cell and only taken out once in a week and need 15 days to a month for scanning the chargesheet and engaging a lawyer in Mumbai,” Rajan told the court to which Judge Pansare informed the gangster that his (Delhi-based) lawyer Anshuman Sinha was present in the court. On January 7, the court had reprimanded Mumbai Police for not serving the copy of the chargesheet to Rajan. “Why not yet? What are you waiting for....why are you waiting for an order for everything? the judge had asked. Later, he had passed an order directing the police to serve the copy of charge sheet to Rajan. Rajan, a former key aide and lieutenant of underworld don Dawood Ibrahim, was arrested at Bali airport in Indonesia on October 25 after he arrived from Australia, and was later deported to India. He is facing around 70 cases in Maharashtra, which includes the J Dey murder case. Maharashtra government has handed over all the cases against him to CBI. Dey, a veteran crime reporter, was shot dead in Mumbai’s suburban area Powai by motor-cycle borne shooters on June 11, 2011 allegedly at the behest of Rajan. Four persons on two motorbikes fired at least four to five rounds at Dey, who was also riding a bike, from behind near SpectraBuilding at D Mart in Hiranandani area of Powai. After the attack, he was rushed to nearby HiranandaniHospital where he was declared brought dead. Police had claimed the shooters fled the spot after firing. The first chargesheet in 2011 names arrested accused Satiah Kaliya, Abhijeet Shinde, Arun Dake, Sachin Gaikwad, Anil Waghmode, Nilesh Shendge, Mangesh Agawane, Vinod Asrani, Paulson Joseph and Deepak Sisodia. Later another chargesheet in 2012 was filed against journalist Jigna Vora who is now out on bail. Rajan was allegedly upset with two articles written by Dey and therefore ordered his killing. Vora allegedly instigated him, owing to her own professional rivalry with Dey. On January 4, the Bombay high court had designated a special court for conducting the trials of cases in which Rajan is an accused. Earlier, Rajan had moved an application in Delhi court, saying that he may not be sent to Mumbai as there is threat to his life.